Normally I have great things to say about Taiwan’s Universal Health Care system, but I can’t help feeling that the system has failed me a bit today. I know I shouldn’t complain too much as I get excellent care here for the most part, and it’s cheap compared to what AS patients have to pay in North America, but this is a major oversight that has made my life miserable for the past six months. In short, I’ve just learned that a major drug interaction is mostly responsible for some rather serious symptoms that I’ve been experiencing over the past three months. I’ve been light headed, I’ve experienced numbness in certain parts of my body; I’ve had instances of extreme sensitivity to light and noise, and I’ve had extreme anxiety. The worst symptom by far has been a racing heart and heart palpitations, which has been so severe that I thought I was having a heart attack on several occasions. Had my doctors taken the time to review my medical history and the medications that I am already taking, all of this could’ve been avoided. My complaints are nothing new for the health system in Taiwan. The Taiwan Healthcare Reform Foundation lists a number of problems with Taiwan’s current medical system. There is currently no effective government policy to regulate hospital’s financial activities. As more corporations join the healthcare business, the rapid unchecked commercialization is hurting both the quality of medical care and the budget of the National Health Insurance. The medical malpractice crisis in Taiwan is a multiple dimensions issue that range from flawed court system to mutual distrust between the health providers and the patients. The healthcare staff shortage has been a perpetual problem in Taiwan. Insufficient staff creates threat for both medical staff and patients. Accessing ones own medical record is not an easy task in Taiwan. Many healthcare institutions still refuse to provide the complete medical record to the patients. The unnecessary and ill-diagnosed surgeries are hurting patient’s right in Taiwan, and the information obscurity has been a major factor. Drug scripts in Taiwan generally lack of information and clear format, which make them vulnerable to abuses. Medicine bags in Taiwan are made by plastics or paper containing prescribed drugs. These bags play a major role in providing crucial medical information to patients. Due to lack of regulation, most drug bags are labeled with limited information. A clearly labeled drug bag will help improve the drug safety in Taiwan. Moreover, medical professionals in Taiwan do not like to be questioned, challenged, or spend a lot of time in discussion with their patients. They tend to overprescribe medications and they don’t go into detail about possible drug interactions, side effects, or proper medication usage with their patients. On several occasions, I’ve left my doctor’s appointment with details on how to take my medication only to have it completely contradicted at the pharmacy. I’ve also returned home to find additional medications included in my prescription that simply aren’t needed. For example, I’ve seen my ENT many times and returned home with ear drops for an ear infection. I was also prescribed antibiotics, painkillers, two antihistamines, and an antacid – none of which were needed. Furthermore, no mention is ever made of the anti-inflammatory drugs and painkillers that I already take for my AS (Ankylosing Spondylitis) and Fibromyalgia. I don’t need a doctor to tell me that taking additional painkillers and anti-inflammatories on top of the meds I’m already taking is a big no-no, but it continues to surprise me that my ENT never brings it up. It is obvious to me that most doctors I see outside of my regular visits to my rheumatologist do not look at my medical history when I visit. As a result, I have had to become a stronger advocate for my health. I now look up all the drugs that are prescribed to me; I also research side effects and potential drug interactions, and I grill my doctors on everything. I’m sure they hate seeing me coming! I have been chronically ill for well over a decade, but it wasn’t until 2009 that doctors in Taiwan were able to pinpoint the cause of all my health issues. I have Ankylosing Spondylitis, and I have been seeing rheumatologists in Taiwan on a regular basis since my diagnosis. I take a massive amount of medications to keep my condition in check – all of which come with serious set of side effects that create new problems that I’ve had to learn to deal with. I have been working with the same rheumatologist since 2009, but this year, my doctor retired and I have a new rheumatologist in charge of my well being. For chronically ill patients such as myself, changing doctors can be a huge obstacle to tackle. It’s intimidating and frightening to start working with someone who knows nothing about what you’ve been going through. 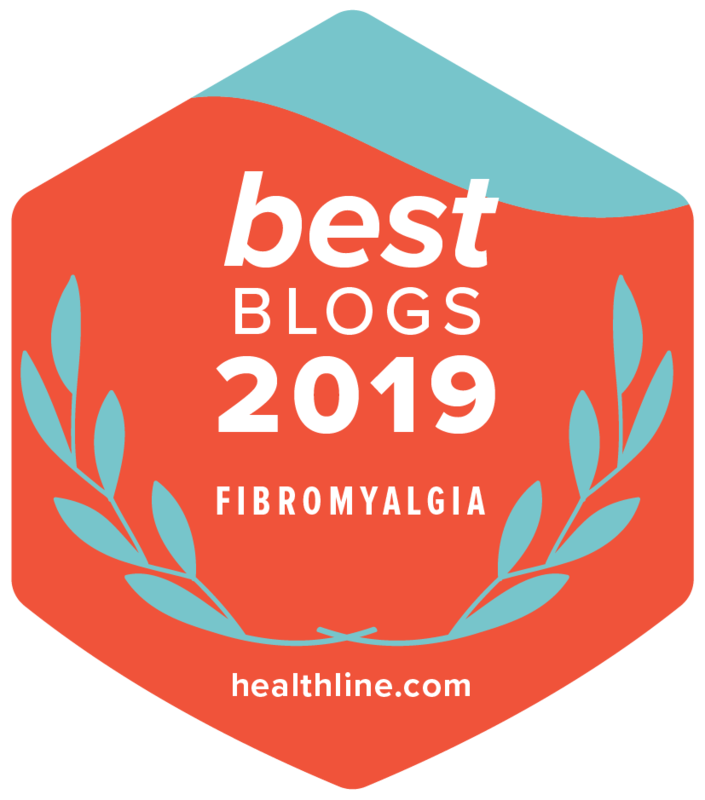 Knowing that I’m in safe hands helps to reduce the stress of being ill, and stress, which as most autoimmune patients know, is a huge trigger for most of us. It can often exacerbate disease symptoms. Furthermore, I am afraid that my tendency to question and double check information will lead to me being labelled as a troublesome patient. My new doctor’s first decision after seeing me was to change my medication without telling me, even though I wasn’t experiencing any disease progression. I decided to stay on the course of drugs I was taking and when I saw her next, I asked her why she had changed my medication without discussing it with me first. She agreed that she should’ve spoken with me and we decided that I would stay on my current course of treatment. Obviously this decision of hers has caused some mistrust on my end. I may not be a doctor, but I am an expert where my body and disease activity is concerned, and it bothers me that my new doctor didn’t bother to consult with me about my condition before changing my course of treatment, especially when there was no reason to change it. Within a few months, I was flaring again and I had to go back and see her. This time she decided to add a new medication to my course of treatment, only she failed to go over drug interactions with me and I ended up having a bad reaction to the new medication I started taking. I’ve noticed time and time again that doctors and pharmacists in Taiwan fail dismally at providing their patients with information about prescription medications. They gloss over common side effects, but they very rarely go into detail about all the side effects that a patient should keep watch for. This is something that doctors and pharmacists in North America really excel at. When I leave a pharmacy in Canada, I know exactly what to expect with the medications I’m taking, and I know what to avoid. With my autoimmune condition, it’s extremely important that I know what to expect from potential drug interactions and that I know about potential side effects. My doctors in Taiwan have talked to me about common side effects, but both of them have failed to mention the really serious side effects that could occur. For example, I just started on a new class of drugs three weeks ago. I just found out today that I’m not even supposed to be driving while on these new drugs for the first 4-6 weeks! WTF! That’s a pretty important detail to leave out, don’t you think? In addition to being able to be on the lookout for serious side effects, which include dizziness, blurry vision, blindness, and bleeding stomach ulcers, being armed with this knowledge in advance has a huge impact on my overall health and comfort, and in my day to day life. I am a well informed patient and I do my research, but I’m not a doctor, and I can’t anticipate how some medications are going to interact with other medications, vitamins, and certain foods. The Internet, contrary to popular belief, doesn’t cover everything and information is often outdated. Doctors in Taiwan should do more to work with their patients rather than against them. I didn’t go to medical school, but I am an expert where my body is concerned. They should also do a better job of explaining these things in advance. Doing so gives the patient a point of reference to start with, but it also helps to instill trust and reliability with a health care provider. There is a reason why chronically ill patients need to be their own advocate and why they need to be diligent about doing their own research. Over 26 million people suffer from autoimmune related illnesses in the US alone, and this is a perfect example of why I’m outspoken about my condition. I mentioned sleep problems once to a general family med doctor and she was ready to start prescription sleep meds w/o asking any other questions or looking for the cause. There have been other similar cases. NHI is pretty great but some parts are disappointing. I’m studying here in Taiwan and the overall feeling is that I that professors and teacher doesn’t tell us anything if they don’t really have to. Some of them wait with announcing exams until it’s only a few days left. I don’t really know why the Taiwanese style usually goes with such short-sighted planning and poor information. Maybe they think it’s a way to save effort and time? I’m happy to hear you can at least find out some information yourself, stay alert and take care! This is fascinating. I used to work in medical publishing and the over-prescription of antibiotics is of particular concern because of the potential for certain bacteria to build resistance. The fact that they’re not telling people about the potential side effects is quite worrying too. Just saw this. I’m glad you advocate for yourself! Please email me; I have a question for you.